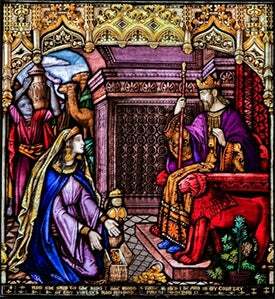 As the third king of Israel, Solomon began his reign wholly dedicated to God. In turn, God blessed him with unrivaled wealth and wisdom. Solomon led Israel into its golden age. During his reign, both Israel and Solomon became world-renowned and many sought his wisdom. 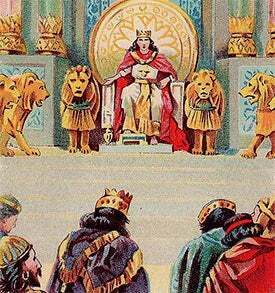 Unfortunately, many of the nearly 1000 wives and concubines Solomon acquired worshiped false gods and led him astray. Proverbs’ theme of wisdom offers gem after gem of practical advice for effective, ethical, successful living. A recurring promise offers long life, prosperity and peace to those who follow God’s wisdom. Solomon speaks of nearly every relational topic imaginable, describing how to relate to God, parents, children, neighbors and business associates. As relevant today as three thousand years ago, Solomon’s practical advice aids in the attempt to live a godly life in an ungodly world.